1. The plane leaves at__________. 2. The bus station is in__________. 3. The journey to the airport takes __________. A. 1 hour 15 minutes. B. 1 hour 30 minutes. C. 1 hour 45 minutes. 4. The man‟s ticket to Buenos Aires will cost ___________. A. £240. B. £300. C.£320. A. £13.50. B. £14.50. C. £30.50. 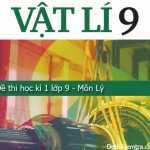 Nghe lại và xác định những câu sau là đúng (True) hay sai (False). 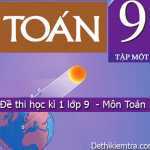 Viết T cho câu đúng và F cho câu sai. 6. Monday is the best for the man. 7. The man will take a coach to the airport. 8. The man doesn‟t have a student card. B.NGỮ ÂM VÀ KIẾN THỨC NGÔN NGỮ. 3. He has written four novels ______. 5. Liz wishes she ________- Ba’s village again someday. 6. We are looking forward to______you. 7. They______him if they would come there the day after. 8. It was a beautiful day, my friends and I went ____- a picnic to my home village. 9. He used to________- full time, but now he is a part-time worker. 10. The accidents happen because of driving_________. A young man from Germany named Levi Strauss arrived in California in 1850. He went there to sell things to the miners. He saw that the miners needed strong pants, so he began to make them. He used cloth that people made tents from. He put rivets on the pockets to make them strong because the men put rocks in their pockets. These pants were very strong and lasted a long time. The pants became very popular immediately. Later Mr. Strauss started making Jeans from cotton cloth from Nimes, France. People called this cloth Denim. Denim was popular in the fifteenth century. Christopher Columbus used denim for the sails of his ship. Sailors in Genoa, Italy, wore denim pants. The word “Jeans” comes from the words “Genoa”. Mr. Strauss made the first Jeans in the United States, but the idea and the kind of cloth came from Europe. The name came from France and Italy. Jeans were always blue until presently. People used indigo to dye them. Indigo is the oldest dye in the world. Most Jeans have blue threads going across and white threads going up and down. These two colors make denim look different from other kinds of cloth. 6 The word Denim comes from the name of a city in ____________. 7. The word jeans is from the name of a city in ___________________. 8. Levi Strauss went to California to ______________. 10. Cloth is made from thousands of _________________. “We won‟t go to the party tomorrow”, Lan said. It‟s a pity they can‟t buy this car. Viết lại những câu sau sao cho nghĩa của câu không bị thay đổi, sử dụng các từ/cụm từ gợi ý. People say that she has a beautiful voice. They usually went to school on foot in the past. 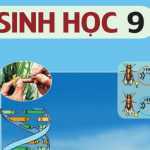 PHẦN DÀNH CHO HỌC SINH HỌC CHƯƠNG TRÌNH 7 NĂM –C.TRÌNH CŨ. Lan said (that) they wouldn’t go to the party the next/ following day. They wish they could buy this car. PHẦN DÀNH CHO HỌC SINH HỌC CHƯƠNG TRÌNH THÍ ĐIỂM. It is said that she has a beautiful voice. They used to go to school on foot in the past.